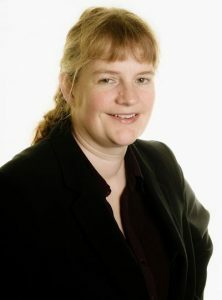 Partner and expert in occupational illness claims, Belinda Lancaster, has won £200,000 (gross) in compensation for a man who suffers from mesothelioma due to asbestos exposure during his working life. The man started work as an apprentice joiner in 1962. He spent his time on site at banks, law courts, and Top Rank cinemas, where he fitted out premises and built offices, and in the Newcastle upon Tyne workshop, where he carried out general joinery work and made fire doors until around 1967/68. The man recalls he worked on-site at a factory building for about 2 to 3 weeks fitting asbestos sheeting around steel columns and beams to provide fireproofing. Day after day, he had to cut asbestos sheeting to size by hand saw and then drill the pieces using a hand drill. He did the same sort of work on several other occasions. He was exposed to clouds of asbestos dust which covered him and his overalls. He also had to sweep up after his work, which created more asbestos dust. No warnings were given to the man regarding the risks of working with and exposure to asbestos. He was not provided with any face masks and he provided and washed his own overalls, which, at the end of the day, he would shake making them ready for the next day. He moved on to other companies where he was also exposed to asbestos, not given any warnings of exposure to it and given no face masks. He had to his wash own overalls or wear his own clothes. From around 1976 the man worked for companies where he was not exposed to asbestos. In 2015, the man started to develop pain in his left-hand side and began to struggle to breathe. His GP referred him to hospital where mesothelioma was diagnosed. He is now unable to carry out all the tasks he would normally undertake such as DIY, decorating, gardening, dog walking and household chores. No is also no longer able to go out on his motorbike. The man contacted Graysons to see if he could claim any compensation for the years of exposure to asbestos and Belinda too up his case. In mesothelioma cases, it can be difficult to pursue all previous employers and so compensation can be claimed from just one. As some of the man’s previous employers had gone out of business, Belinda was able to negotiate a settlement of £200,000 from one of his previous employers. If you or a member of your family are suffering due to exposure to asbestos during your working life, contact our experts now and we will discuss the possibility of claiming compensation for you. You may also be able to claim compensation if a member of your family has died due to exposure to asbestos. You can find out more about claiming compensation for asbestos-related diseases on our website. Author: Belinda Lancaster, partner and specialist in occupational illness and injury.